The wear of black gloves in the U.S. military is typically associated with cold or inclement weather, but there are varying degrees of leeway between the branches regarding their wear. 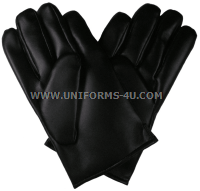 In the Navy, black gloves made of leather or synthetic leather are classified as basic uniform components that are prescribable for wear, which means personnel must have them in their sea bags but are worn only when specified or permitted by the commander. Army regulations allow Soldiers, unless prohibited by their commander, to wear slip-on style commercial gloves of material other than leather provided they are black and plain (no logos or designs). Marines may wear or carry black vinyl gloves when they wear an outer coat with their service uniforms; they may also be worn or carried at the Marine’s option with the service “A” uniform or service uniform with tanker jacket or sweater. Local commanders determine whether gloves are to be worn by troops in formation. 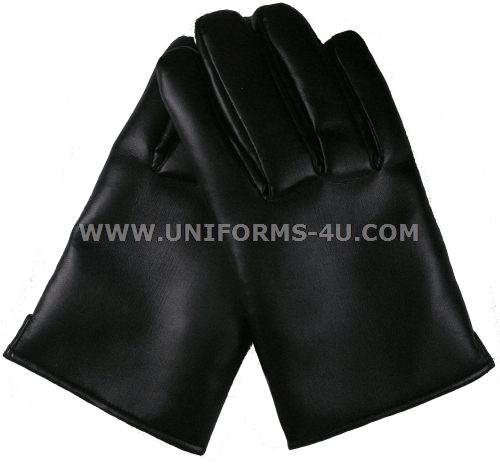 The Coast Guard authorizes the wear of black gloves with all uniforms (gloves must have matching stitching, however).